With today’s society, intrusion detection is critical for business and personal property protection. 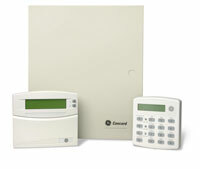 We use the top 2 manufactures of security systems, Honeywell and GE. Let us visit your business and design a system tailored to YOUR needs, and not just give you an impersonal phone quote.